Dj Focus Hand Crafted Aerodynamic Slipmats 2017 Edition. Manufactured one at time, one step at time. Two Different Materials are fused together and Die-Cut using a 2 Step Process. All done out of the Focus Zendo. The bottom layer is a thin felt, the top layer a thin fabric, less then 1/16 of inch total thickness. Real Slippery for futuristic cuts, in addition the Cut-out Style Design created for the Stanton Magnetics Dj Focus Signature Slipmat comes alive once again in a new design. Part of the up and coming Slide Rating System which will give Slipmats a number depending on how good they Slide. 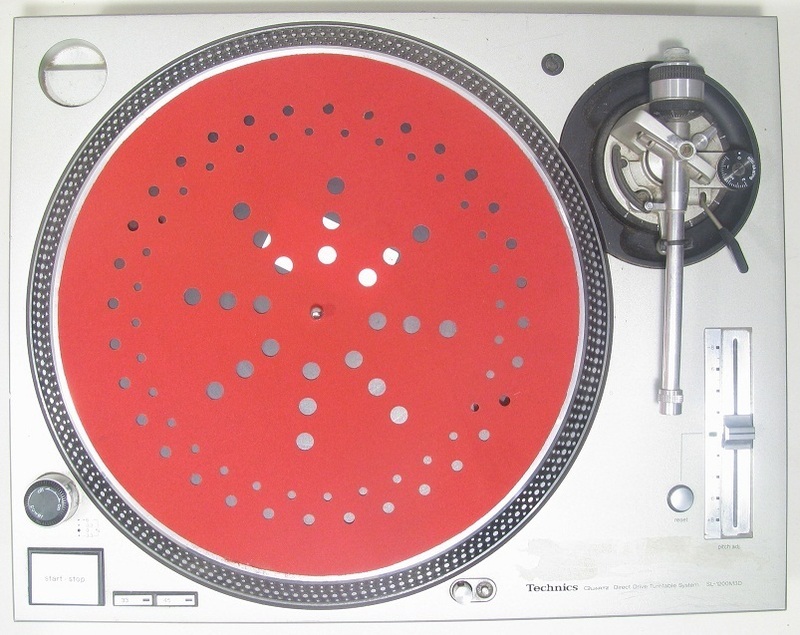 Price is for 2 Slipmats (1 Pair). Available in Red,Black or Blue. They will be packaged inside a shipping envelope, in a Clear Polybag to reduce shipping weight and size, which meets the USPS First Class Mail International Requirements.